↑ अ आ इ "मेट्रो नोएडा में प्रवेश करती है, लोगों की यात्रा की आदतों में परिवर्तन करना". Dnaindia.com. ↑ "Delhi Metro is now officially on Twitter Follow them @officialDMRC". ↑ "After 5 years of riding the New York City subway, I tried the Delhi Metro at the busiest time of the year - and it showed me exactly what I'm missing Ranya Dua". ↑ "Delhi Metro: It all started 15 Xmas days ago". 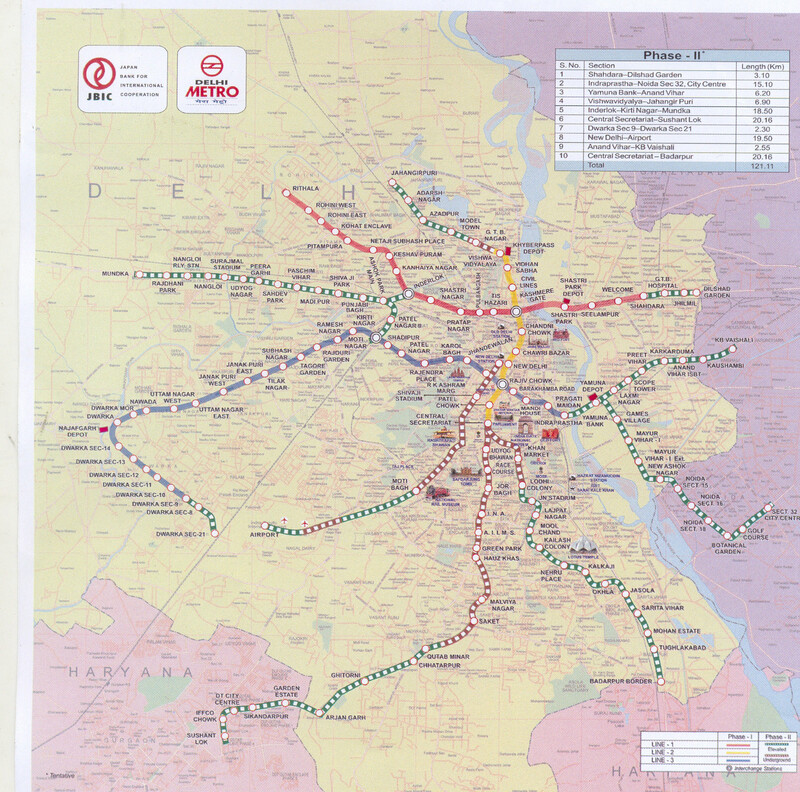 ↑ "Delhi Metro makes another foray into NCR, total span reaches 317km". ↑ "DMRC to join global club of metro networks having span of over 300 km". ↑ "Delhi Metro launches new app with additional features". ↑ "Delhi: From Saturday, use your phone as ticket on Airport Line".